In just a few short years, Warner Bros.’ DC Super Hero Girls franchise—which reimagines some of the comics giant’s most famous female heroes as teenaged high schoolers—has become one of the company’s most successful endeavors. It already consists of comic books, toys, and a web series, but now it’s becoming a fully-fledged animated TV series premiering on Cartoon Network. This week, DC and Warner Bros. Animation revealed a series of new character designs illustrated by executive producer Lauren Faust, and they’re a refreshing change of pace. From left to right: Zatanna, Supergirl, Wonder Woman, Jessica Cruz, Bumblebee, and Batgirl. 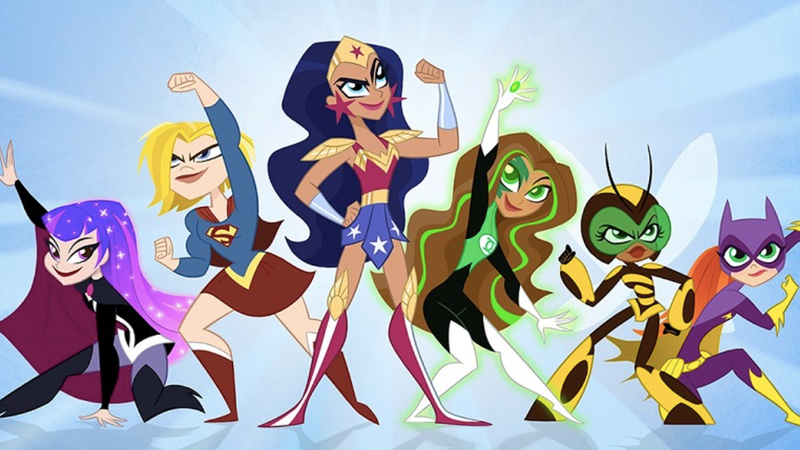 DC Super Hero Girls’ new style appears to be a blend of the aesthetics from the current web series and the Super Best Friends Forever animated shorts that Faust also produced for Cartoon Network a few years ago. Fans of the older style might balk at first, but pivots like this are often a part of how production studios communicate to audiences that what we’re seeing is the growth and evolution of a brand. Honestly, though, the designs are cool as hell if only for the fact that they give many of the characters some much-needed personality that sets them apart from their more traditional appearances in other media. Zatanna’s cape and purple/pink ombre is a welcome change of pace from usual getup we see her in (as well as a nod to her older comic book look), Supergirl’s been given some honest-to-god muscles to flex, and it’s always great to see a Wonder Woman who reads as decidedly more Mediterranean. What’ll be interesting to see next is how Faust and the rest of the DC Super Hero Girls team decide to interpret characters like Catwoman, Poison Ivy, and Harley Quinn when the show debuts in the coming months.